With Idris Elba replacing Will Smith as Deadshot in The Suicide Squad, it’s now time for writer-director James Gunn to turn his attention to filling out the rest of the ensemble, and while we haven’t heard any names except for the obvious one below, we have learned which characters are expected to comprise the rest of the squad. A rewrite could, of course, change things, so keep in mind that none of this is confirmed, it’s just what we’re hearing from sources right now. Let’s dive in, shall we? Ratcatcher, aka Otis Flannegan, is a man in the DC comics, though Collider has learned that the character will be gender-swapped and played by a woman in The Suicide Squad. Ratcatcher is is a super-criminal and one of Batman’s many enemies. She started out as an exterminator in Gotham City before turning to a life of crime, aided by an army of small rodents she can communicate with and control. She’s also a fan of poisonous gas. Nanaue, aka King Shark, is a super-villain and humanoid shark whose father is believed to be the so-called Shark God, though others dismiss him as merely a savage mutation. Polka-Dot Man, aka Mister Polka Dot, is a Gotham City super-villain and like Ratcatcher, a sworn enemy of Batman. He grows multi-colored polka dots on his body that he can turn into fireballs and other weapons, even though, for the most part, he’s embarrassed about his awkward abilities. Peacemaker, aka Christopher Smith, is an agent of peace whose motives are driven by an extremist form of pacifism that makes him love peace so much he would kill for it. Interestingly enough, Peacemaker is the role that sources say Gunn likes for Dave Bautista, the Guardians of the Galaxy star who defended the director when he was fired from Vol 3. by Disney chiefs Bob Iger and Alan Horn. It’s a funny coincidence, given that Bautista tried to play peacemaker (sort of) throughout that entire situation, and it’s no surprise that Gunn is eager to reward the actor for his unwavering loyalty. 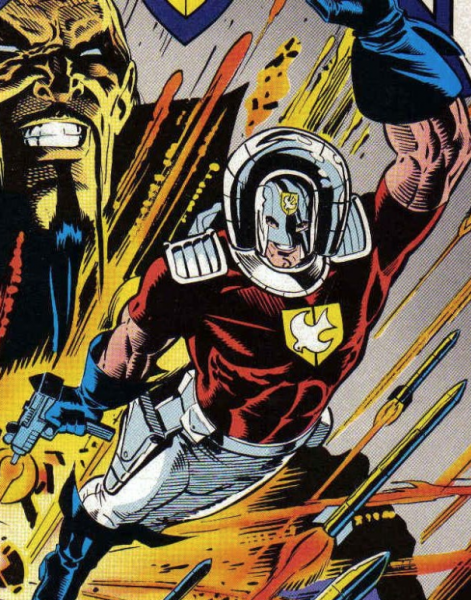 Meanwhile, sources say that the new Squad script positions Deadshot as a surrogate father of sorts to Ratcatcher, though the role remains open to actresses of all nationalities and ethnicities. We should get some clarity soon from Gunn and DC Films chief Walter Hamada, as Warner Bros. is slated to release The Suicide Squad on Aug. 6, 2021. The first film, directed by David Ayer, grossed $746 million worldwide, but was reviled by critics to the tune of a 27% rotten rating on Rotten Tomatoes.